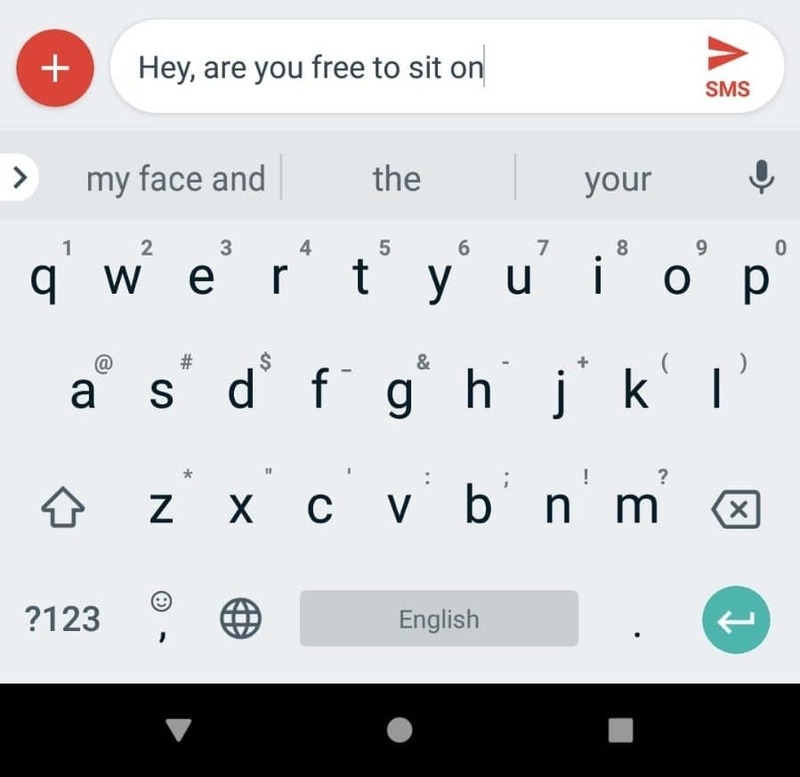 Last week, I sent an SMS to our babysitter that said, "Hey, are you free to sit on," and rather than offering autocomplete suggestions like "Saturday" or "Friday," the default Android keyboard suggested "on my face and." I tweeted about this yesterday and others chimed in that they could reproduce the odd suggestion, prompting Buzzfeed's Nicole Nguyen to ask Google for comment, and Google replied that they were going to fix the keyboard so it no longer made this suggestion. Best guess is that this is an artifact of Google using common searches as training data for autocomplete in Android.